UNPO: Tibet: Nepal Urged Not to Return Refugees to China. Tibet: Nepal Urged Not to Return Refugees to China. Nepal denied the forceful deportation of Tibetan refugees at the UN Human Rights Council but concerns were expressed about the practice of pre-emptive detentions and deportations in Nepal. 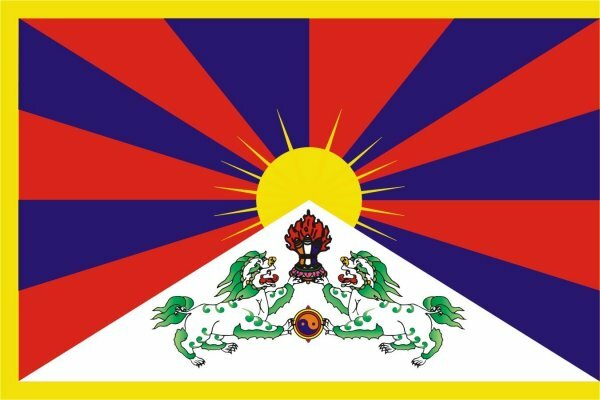 Below is an article published by the International Campaign from Tibet. As the UN Human Rights Council's Universal Periodic Review mechanism scrutinized Nepal's human rights record on 25 January  in Geneva, Ambassador Dinesh Bhattarai claimed that there are no forceful deportations of Tibetan refugees. The Nepalese delegation was responding to the U.S. delegation statement urging them to continue "its long-standing commitment to ensure the safe passage through Nepal of Tibetan asylum seekers and refraining from forcibly returning Tibetan asylum seekers to China." "While we appreciate that the U.S. Administration had raised the plight of Tibetan refugees in Nepal, we remain shocked at the total denial by the Nepalese delegation over the refoulement of Tibetan refugees when cases have been documented by the United Nations High Commissioner for Refugees (UNHCR), Governments, NGOs and the media," Ms. Tsering Jampa, Executive Director of ICT-Europe said. Although the Nepalese delegation was led by Deputy Prime Minister and Foreign Minister Ms. Sujata Koirala, it was the Nepalese Ambassador who told the UN mechanism: "On the issue of Tibetan refugees, Nepal stated that it does not allow its territory to be used against neighbours or any country. Anyone found in violation of the immigration law or other laws is dealt with according to the law of the land. There are no forceful deportations." In an advance written question, Switzerland stated: "What measures does the government plan to take, in order to ensure that the status of Tibetan refugees in Nepal is recognized according to international standards?" As the draft report on Nepal was adopted this afternoon by the Council's Working Group on the Universal Periodic Review (UPR), Nepalese refused to accept the recommendation of the U.S. delegation to: "Protect vulnerable refugee populations by allowing for registration of the refugee population in Nepal and by refraining from forcibly returning Tibetan asylum seekers to China:" In a way to explain their position, Nepal changed its tone by again claiming that "there was no policy of forcibly returning the refugees." It should be recalled that on 31 May, 2003, the UNHCR in a press statement expressed grave concern about the fate of 18 Tibetan asylum seekers deported to China by Nepal. The statement said that the Nepalese authorities "decided to go ahead with the deportation on Saturday, ignoring last-minute appeals by the UN refugee agency and human rights groups. UNHCR learned that the deported group included eight unaccompanied minors, some as young as 13." UNHCR officials described the move as a blatant violation of Nepal's obligations under international law. As documented by our annual Dangerous Crossing reports, ICT's written submission to the UPR mechanism "urged Nepal to uphold the principle of non-refoulement by taking adequate policy and administrative steps, including written policy instruction to immigration officials and border police, and training of Nepali police, security forces and immigration authorities about proper procedures and international human rights norms." Nepal also rejected recommendation by Algeria, Moldova, Netherlands, Slovenia and Switzerland who urged the country to become a Party to the 1951 Convention relating to the status of Refugees and its 1967 Protocol. Similarly the call from Netherlands that Nepal adopts national legislation pertaining to refugees that includes the rights of refugees and asylum seekers was not accepted. ICT's submission expressed concern at the failure of authorities to issue refugee identity certificates to all refugees who met the criteria set by the Government. Thousands of eligible refugees had been waiting for years for processing of the certificates to resume. ICT called for durable solutions for long-staying refugees. Concern was also expressed at the practice of pre-emptive detentions and the wide-scale use of security forces used to intimidate Tibetans residing in Nepal and called on Nepali officials to ensure the fair treatment of Tibetans under Nepali law. On 13 April, 2007, the UN Committee Against Torture after reviewing Nepal's second report said that the Committee was "concerned about allegations received concerning cases of refoulement of Tibetan asylum-seekers, given the absolute nature of the prohibition against refoulement" under article 3 of the Convention Against Torture. The Committee also recommended that Nepal "enact legislation aimed at prohibiting refoulement of persons without an appropriate legal procedure...provide to the Committee information on the number of cases of extradition, removal, deportation, forced return and expulsion that have occurred since 1994, as well as information on cases in which deportation was not effected for fear of torture." On the overall performance of the Nepalese delegation at the UPR examination, the Nepal NGO Coalition for the UPR, representing 235 human rights and civil society organization said in a statement on 25 January that they were disappointed "at the rhetorical statement by the government delegation and their failure to provide any concrete commitments and timelines for the implementation of Nepal's human rights obligations." The statement added that the Coalition "is troubled by the response of the government delegation who claimed that there is no systematic torture in Nepal, in spite of well documented and credible reports of systematic practices of torture at the hands of the State security forces." According to the Human Rights Council, by the end of the current two-week session of the Working Group on the UPR, 159 States (out of 192 Member States of the United Nations) will have had their human rights records examined and in December 2011 all United Nations' Member States will have been reviewed under this mechanism. The UPR was created through the UN General Assembly on 15 March 2006 by resolution 60/251, which established the Human Rights Council itself. It is a cooperative process which, by 2011, will have reviewed the human rights records of every country. Currently, no other universal mechanism of this kind exists. The UPR is one of the key elements of the new Council which reminds States of their responsibility to fully respect and implement all human rights and fundamental freedoms. The ultimate aim of this new mechanism is to improve the human rights situation in all countries and address human rights violations wherever they occur. By the end of the current two-week session of the Working Group on the UPR, 159 States (out of 192 Member States) will have had their human rights records examined and in December 2011 all United Nations' Member States will have been reviewed under this mechanism.